The charity event and all-star chef cookout L.A. Loves Alex’s Lemonade, which raised more than $700,000 for childhood cancer research in 2014, is hands-down one of the most anticipated food events of the year. Not only are the best Angeleno (and beyond) chefs and restaurants showcased in a beautiful and casual setting, but drink options for discerning drinkers are bountiful and stellar. And I’m not just talking wine. This was where you saw Eric Alperin of the Varnish using a chainsaw just to cut ice for his cocktails. Where you enjoyed cocktails by Cure bartender Neal Bodenheimer, all the way from New Orleans. And for the 2015 event, which takes place in UCLA this Saturday, bartenders like Matthew Biancaniello, Christiaan Rollich, and Eric Alperin are once again sating the thirsty masses with their own special brand of awesome. Included in this year’s roster of mixologists is The Corner Door’s Beau du Bois, Eater LA’s 2014 bartender of the year. Beau wanted to craft a cocktail with “a good Corner Door fingerprint” (and also show off a little) so he took a chance and created a Negroni variation. It’s a pretty dicey proposition considering the classic cocktail’s polarizingly healthy use of Campari, a strong bittersweet amaro. However, the Negroni is considered the elixir of life in the food and cocktail world. Just ask Anthony Bourdain. Bartenders even dedicated an entire week to it. And the Negroni variation is Beau’s forte. His Taco Truck cocktail, a Negroni with mezcal and pineapple and cinnamon-infused Campari first created for Art Beyond the Glass II in 2013, is still haunting cocktail geeks’ dreams. For those who want to pre-game for the event this Saturday, Beau was gracious enough to share his recipe. Combine all ingredients in an iced-filled mixing glass. Stir until chilled and serve over crushed ice. 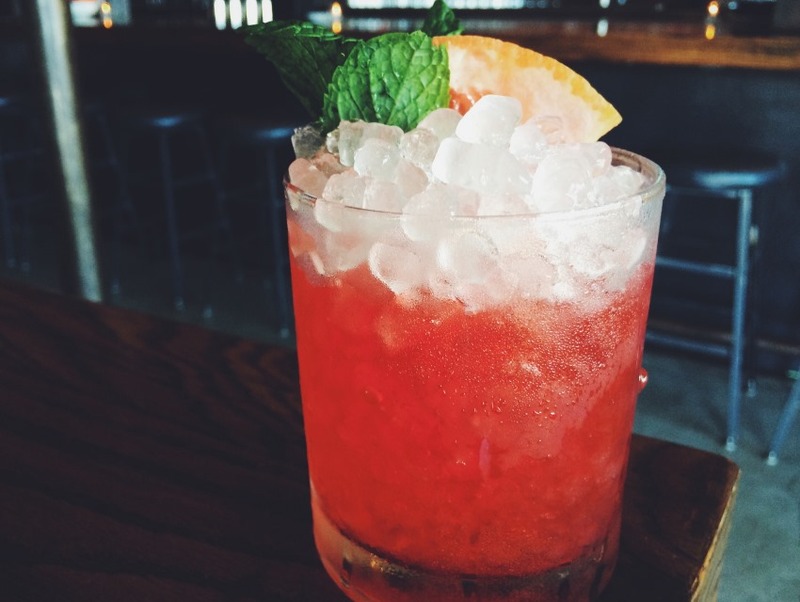 * Grapefruit & Mint Infused Campari: Per liter of Campari add 20 sprigs of mint that you’ve gently pressed to express (not muddle). Add the peels of two grapefruits, also gently expressed. Let them sit in the Campari for four hours, gently stirring four times an hour. Strain, bottle, and enjoy.